Last year, we had a unique request at Ink Couture from one of our now favorite customers! Mike O’Rourke, aged 7 at the time, of Huguenot, broke his arm on his last day of second grade at PS 36. He wasn’t happy with his cast, but his dad, Michael O’Rourke, had a great idea to make his cast more fun. 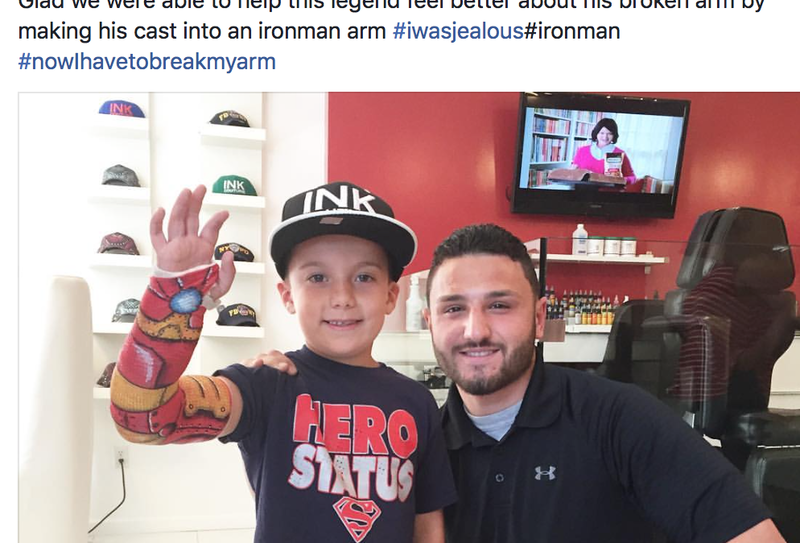 When he came into the shop, we were happy to help this boy with the cast on his arm. Check out the rest of the article about Ink Couture on Staten Island Live.